Chitwan – Traffic operation has been disrupted along the Narayangarh-Muglin road section since early this morning. The vehicular movement has come to a halt after landslides occurred in three different parts of the road stretch. 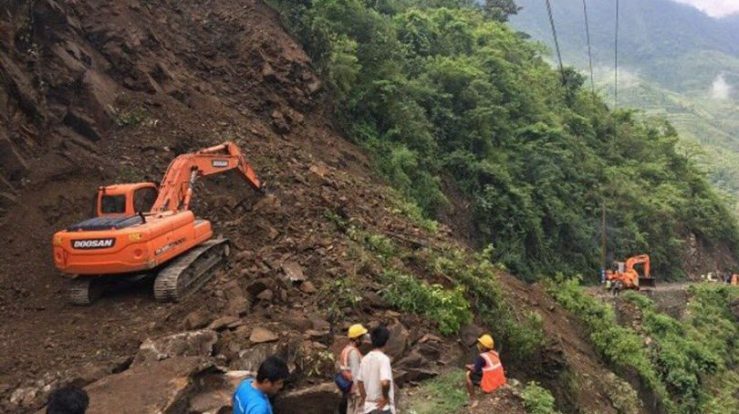 The District Police Office confirmed that the landslide took place in Kalikhola, Jalbire and Charkilo of Ichhakamana rural municipality-6. Police further informed that the torrential rain has troubled in removing landslide debris from the road.